Better Than FREE Toddler Boy's Batman Or Spiderman Sneakers! You are here: Home / Great Deals / Christmas Deals / Better Than FREE Toddler Boy’s Batman Or Spiderman Sneakers! Better Than FREE Toddler Boy’s Batman Or Spiderman Sneakers! 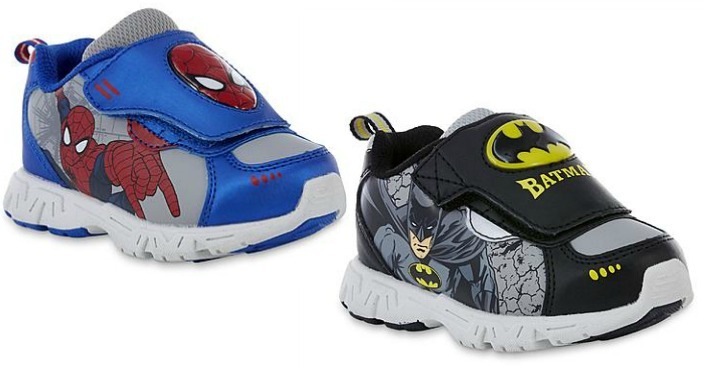 Sears has these Toddler Boy’s Batman or Spiderman Sneakers on sale for just $10 (Reg. $20) and you can get back $10.10 back in Shop Your Way points, making them better than FREE!